After the hat-trick accurate opening day box office collection predictions of Manikarnika, Thackeray and Ek Ladki Ko Dekha Toh Aisa Laga, we are back with another box office prediction analysis: prediction of this Friday release, Amavas. Amavas is finally releasing this week after multiple delays and postponements of its release date. The movie was originally scheduled to release on 11 January 2019. But was postponed to 25th January, later to 1st February, and again to 8th February. The movie features Nargis Fakhri and Sachiin Joshi in the lead roles, and is directed by Bhushan Patel. The film is getting a solo release this weekend (another release 'SP Chauhan' featuring actor Jimmy Shergil will be a very limited and a smaller affair at the box office), but has zero momentum going for it because of the delays. The uncertainty over the release date has taken a hit over its promotions, which has failed to create any interest going into the release. The lack of proper planning in the release, and the low-key inconsistent start-stop promotions have resulted in low buzz. But, days closer to 8 Feb, the film has got multiple advertisements in the news papers, which will help in increasing the awareness about the film. 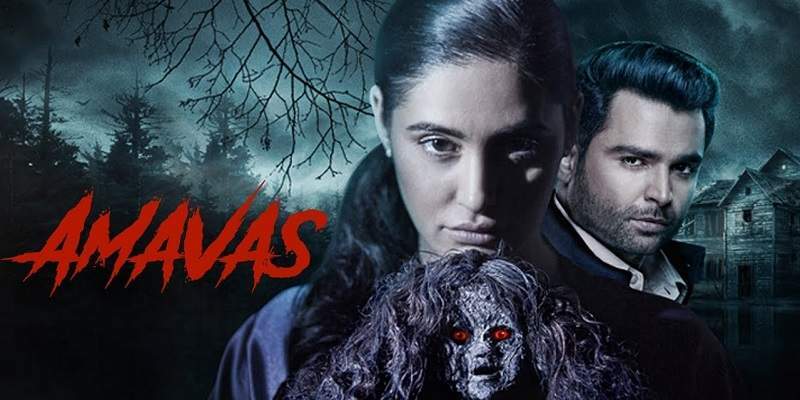 Amavas will have an equal chance at both the single screens and the multiplexes, because of its horror genre and the polished outlook of the film. The trailer of the film is quite decent, and appears to be pretty neatly made on a good-decent budget, and doesn't give out the vibes of being a b-grade product. Hence, has a decent chance at multiplexes. If the product turns out be good, it can have a good run at the box office. Horror films usually perform better at the single screens in the interiors, like the B and C centres. But the film seems to lack the stuff, which can give the movie more footfalls at the single screens. And, Amavas apperas to be targeting both the markets. The name of the movie is clichéd usual horror movie/serial name, and has quite a down-market feel to it. Thereby, make it appealing to the moviegoers of the B and C centres. The polished and beautiful outlook (cinematography, locations and costumes), and presentation gives it a chance at the multiplexes. The film appears to be pretty formulaic, clichéd and regular run-of-the-mill horror film from the trailer. But, if it neatly tells the story and is well-made, and manages to impress the audience, it will gain momentum at the box office. And the lead pair of the film, Sachiin Joshi and Nargis Fakhri, will have zero audience pull at the box office, and the film will have to peddle itself at the box office to reach any respectable total over the weekend. Without a recognized male lead and subdued buzz, the movie is completely dependent on the positive critical response and the audience word-of-mouth. 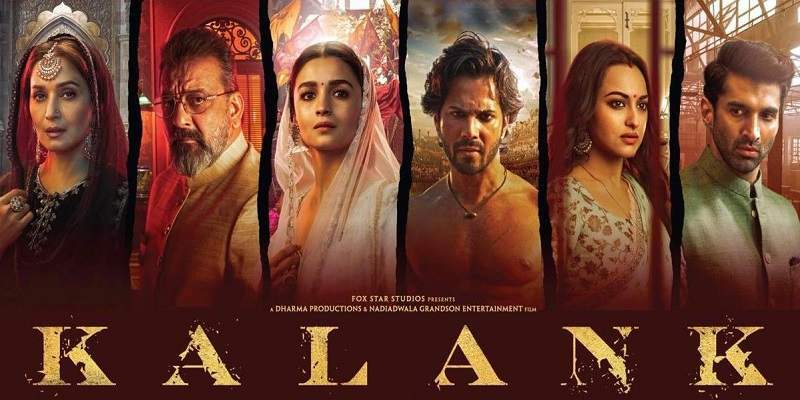 The first day collections at the box office will be low because of these factors, and any considerable good growth in the collections will be seen only in the subsequent days. It will be a huge achievement for the film if it takes an opening of more than 2 crores. Amavas is directed by Bhushan Patel, who has earlier directed horror films like, '1920 - Evil Returns', 'Alone' and 'Ragini MMS 2'. 'Ragini MMS 2' was a surprise HIT at the box office; '1920 - Evil Returns' was above-average; and 'Alone' had failed at the BO. So, the overall box office record of Bhushan Patel is quite decent, and also, all his three films are watchable entertaining flicks. And, Amavas, I believe, will also be an entertaining film, if not better than his earlier films. But the point to note is that all the three movies had a sellable or at least recognized lead actors in them. 1920 - Evil Returns and Ragini MMS 2 were also the second installments of the successful first parts, and were riding on the success, awareness and brand value of the first films. Alone did not belong to a franchise, and had flopped, and is also the weakest of the three films, quality-wise. The lead actor of Amavas is a largely non-recognizable face, and the film doesn't belong to any horror franchise as well. The film has to swim on its own to reach the shore at the box office, as it has very little help coming from the other factors. Whatever awareness that is there for the film is mostly because of its genre, and also the lead actress, Nargis Fakhri. The audience will also have a lot of other options as well, this weekend at the box office. 'Uri: The Surgical Strike' which is on a marathon run at the box office, may end up being the first choice of the moviegoers, even in its fifth week (this Friday, Uri will be in its 5th week). Last week's release Ek Ladki Ko Dekha Toh Aisa Laga, has evoked a mixed response from the audience, and its box office graph was flat in its first weekend, and is taking a significant fall in its collections, in the weekdays. It is unlikely to affect the business of Amavas. Also, Amavas targets a very particular section of the audience. Hence, the overlap with the earlier releases will be less. In general, horror movies have a wider appeal, and well-made horror movies are watched and appreciated by broader sections of the audience. But, overall, the horror genre and solo release may help the film to get decent-to-good numbers at the box office. Our data analysis tells us that the buzz is very equivalent to that of 'Why Cheat India', and more than 'Fraud Saiyaan' and 'Rangeela Raja'. The search term 'Amavas release date' is showing a decent and consistent surge with the film nearing its release date. Amavas might collect around ~0.75 - 1.75 crores on its first day at the box office. Total Screen Count - Less than 1000 screens all across India. Total budget - An estimated ~15 crores.